Genome-wide association studies have identified several single-nucleotide polymorphisms (SNPs) associated with atrial fibrillation (AF). The relationship between SNPs and the incidence of stroke, heart failure, and the recurrence rate of AF after cardioversion has been reported. This meta-analysis focuses on the genotype-phenotype associations in AF. We searched PubMed/Medline and Embase for literature providing the phenotypic parameters and genotypes of RS10033464, RS13376333, RS2106261, RS2200733, and RS7193343. We selected literature published in English and reviewed the full text of included studies to perform a meta-analysis. Fifteen papers, and 7034 patients with AF, were included. The mean risk gene frequency of the investigated variants was between 12 and 43%. The mean age of patients was between 50 and 70 and 70–80% of them were male. The stroke and heart failure frequencies in AF patients with RS2200733 were 10 and 7%, respectively. There was no significant difference in left ventricular ejection fraction and left ventricular end-diastolic diameter for all risk genotypes. 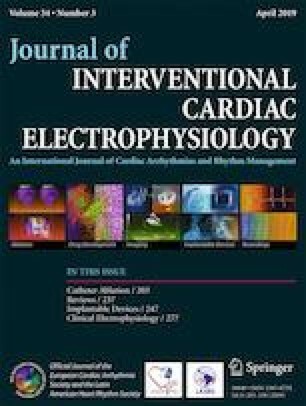 For the AF recurrence after cardioversion treatment with direct current electric conversion, catheter ablation therapy, and anti-arrhythmic drugs. The early AF recurrence rate was 46% in RS10033464 and RS13376333 patients, and the late AF recurrence rate was 53% in RS2200733 patients. Pooled analysis showed a significantly high prevalence of stroke (10%) in RS2200733 AF patients. AF patients with the studied SNPs had preserved left ventricular systolic function (i.e., ejection fraction greater than 50%). AF patients with RS10033464 presented larger left atrium diameter (44 mm (95% CI 42.02–45.98)) than those with other SNPs. The late AF recurrence rate was highest in RS2200733 patients (53% (95% CI 0.43–0.64)). This study aids our understanding of the existing genetic findings and the function-altering “strongest” SNPs. Liu Y, Ni B, Lin Y, Chen XG, Fang Z, Zhao L, et al. Genetic polymorphisms in ZFHX3 are associated with atrial fibrillation in a Chinese Han population [J]. PLoS ONE. 2014;9(7). https://doi.org/10.1371/journal.pone.0101318. Weng LC, Choi SH, Klarin D, Smith JG, Loh PR, Chaffin M, et al. Heritability of atrial fibrillation [J]. Circ Cardiovasc Genet. 2017;10(6). https://doi.org/10.1161/CIRCGENETICS.117.001838.